Thanks To All Who Contributed To United Way! On behalf of the United Way and CWA Local 4034, I would like to send a heartfelt thank you to those of you who have taken the time to contribute to this year’s campaign. 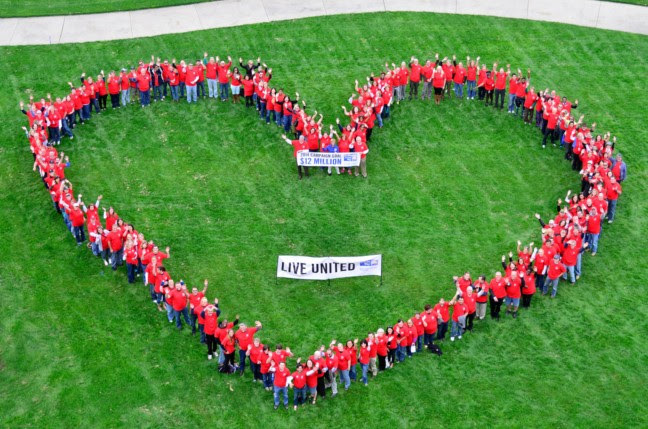 United Way believes investing in our community is an important responsibility. When you give to United Way your return on investment is more children receiving a quality education, more families with enough income to remain independent and more seniors with the support they need for healthy aging. Our campaign will wrap up on Oct 9th. If you haven’t already, please take a few minutes to pledge your support. Remember, pledges will not automatically rollover this year as they have in the past, all employees must login and update their contributions. Your generosity is greatly appreciated. Thank you again for supporting the United Way! AT&T “Biz-Card App” Is Not Mandatory Have Information About DirecTV Merging With AT&T? Tell Us!